Everyone loves to look their best. As part of the POPSUGAR Insights Q2 2014 beauty study, we asked women to share details about their daily beauty routines and purchasing habits. First, we asked women to tell us how important it is for them to look their best every single day. 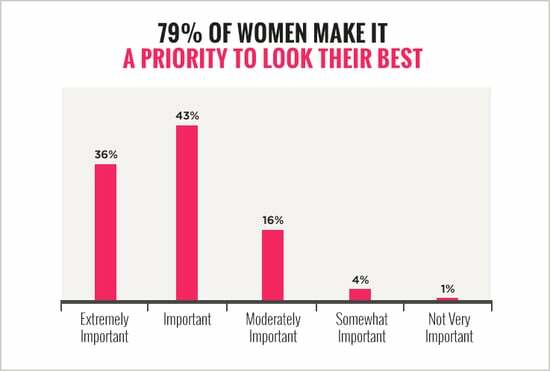 Overall, 99% of women feel it's important to look their best every day, with 36% of women saying it's extremely important and 43% saying it is important. Twenty percent of women feel that it is either moderately important (16%) or somewhat important (4%). 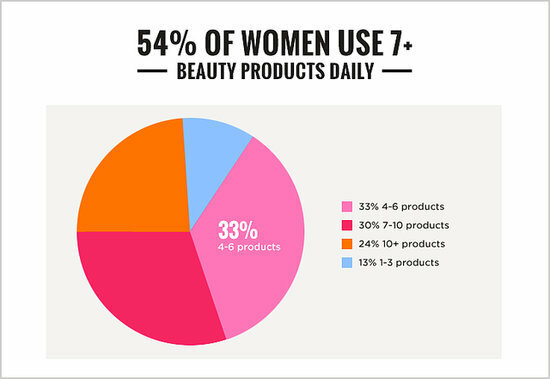 Additionally, we asked women to tell us how many beauty products they use in a given day. Fifty-four percent of women use over seven products on a daily basis, with 24% of women using over 10 products and 30% using between seven and 10 products every day. Thirty-three percent of women use between four and six products daily.